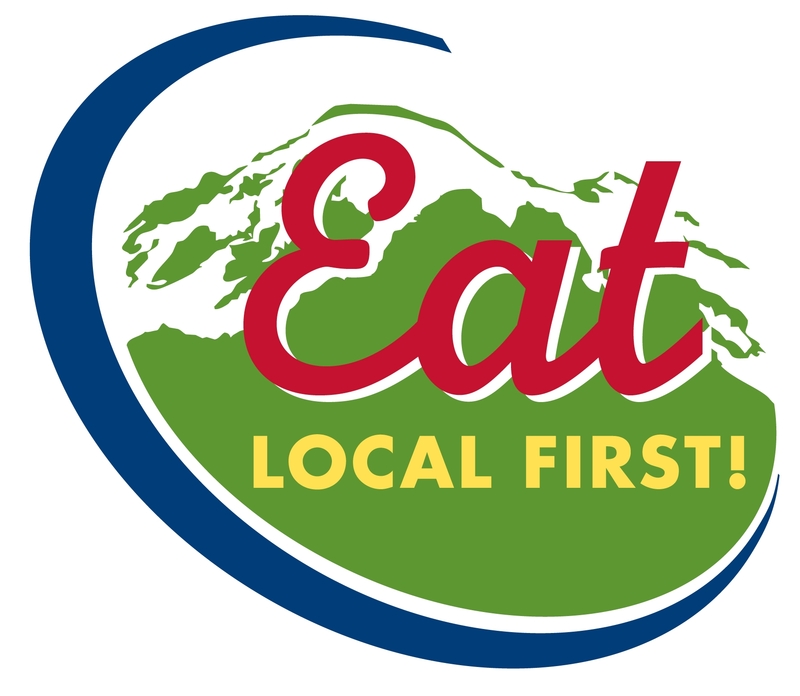 Bellingham retailers are joining together in support of Sustainable Connection’s Eat Local First program, with a month long, flavorful and festive celebration of local food and farms. 17 Farm-To-Table restaurants are included in Eat Local Month, along with 20+ edible events — including the Whatcom Harvest Dinner. Boundary Bay Brewing Co. is one of many Bellingham restaurants, that has made a pledge to provide fresh, natural and local food products to its customers. Locally owned, family friendly and community driven, we work with over 25 local farmers and suppliers to bring fresh NW pub food to our menu. We adopted the farm to fork slogan and exemplify it’s notion with menu items like the Full Circle Burger: a motto coined from our partnership with local beef supplier, Squaw Creek Cattle Co. in Everson, WA. The cattle at Squaw Creek are grass fed and supplemented with spent grain from the brewery. It’s a simple idea really, it all goes fill circle at Boundary Bay, local business supporting local businesses. In the past year, we’ve made even more changes to our menu, forming contracts with Anderson Family Ranch, Carlton Farms and Draper Valley Farms; all of whom raise free-range, non-additive, fresh and natural, organic meat products. (click to learn about these menu changes and products). EAT LOCAL MONTH illustrates how local businesses are working to bring the Bellingham community fresher, healthier food products. In the month of September, Boundary Bay and 16 additional local restaurants have pledged to offer distinctive EAT LOCAL FIRST dishes, made of 50% of more farm-sourced ingredients. Patrons can win prizes just by eating local food and filling out their EAT LOCAL PASSPORTS. Don’t have one? Just ask your server! Items on our menu that qualify you for a passport stamp include our Pan Fried Oysters, Full Circle Beef Burger, Harvest Salad, Steamers, Salmon entree and our special of the month; Sabih Sandwich (A classic Mediterranean sandwich with roasted eggplant, Tahiti sauce, hard boiled egg and pickled mango, piled on a cucumber, tomato and onion chopped salad and served on flatbread. (ingredients from Cloud Mt. Farm and Bellingham Flatbread & Bakery). Sustainable Connections and the participating retailers invite you to eat at their tables, get your eat local month passport stamped, and proudly display your “I ate local today” stickers. To find out more about Eat Local Month, check out the Sustainable Connections webpage. Let There Be (New) Light! We’re all very excited here at Boundary Bay Brewery because we’re finally changing over all of our lights our Tap Room to energy efficient LED lighting! Our Bistro lights were already LED spots, but we hadn’t found dimmable alternatives for our Tap Room that we were happy with. Until now! We are actively participating in Bellingham’s Community Energy Challenge and this is just one step in our journey to continue becoming as sustainable as possible. We’ve been working with Martin Selch – the Commercial Conservations Specialist – and all the great folks at Sustainable Connections. The Community Energy Challenge (a program of two local non-profit organizations: Sustainable Connections and the Opportunity Council) is working with more than 110 small businesses and has performed assessments at over 650 homes around Whatcom County to cut energy costs while reducing pollution. The program is paid by grants through the government and utility providers, so they aren’t trying to sell any specific product or equipment. The CEC helps local homes and businesses save energy and money with personalized recommendations, connections to vetted local contractors, financial incentives, exclusive low-interest financing and quality assurance. The lighting replacement here at our brewery was thanks to a new addition to the CEC’s business program that provides free efficient lighting to qualifying businesses. Best of all, these new LED lamps that we’re installing last over 10 years, are dimmable and use 80% less energy than the ones that were replaced! 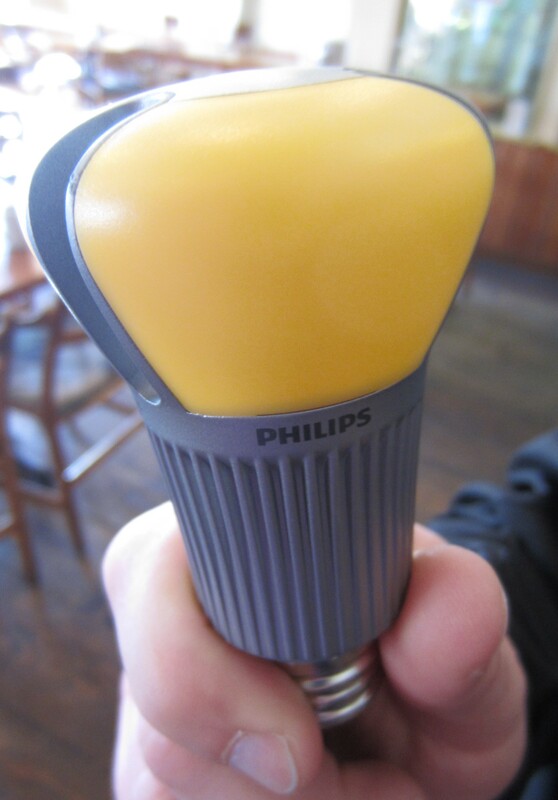 So, next time you’re in our Tap Room, look up and check out our brand new Endura bulbs by Phillips. We had the pleasure of spending one of Fall’s last beautiful, sunny days out at K & M Red River Farm with Mike who gave us a farm tour, talked with us about sustainability and told us how he and Boundary Bay Brewery became connected. K & M Red River Farm was one of our first local suppliers and we’ve been getting our salad greens from him for many years now. 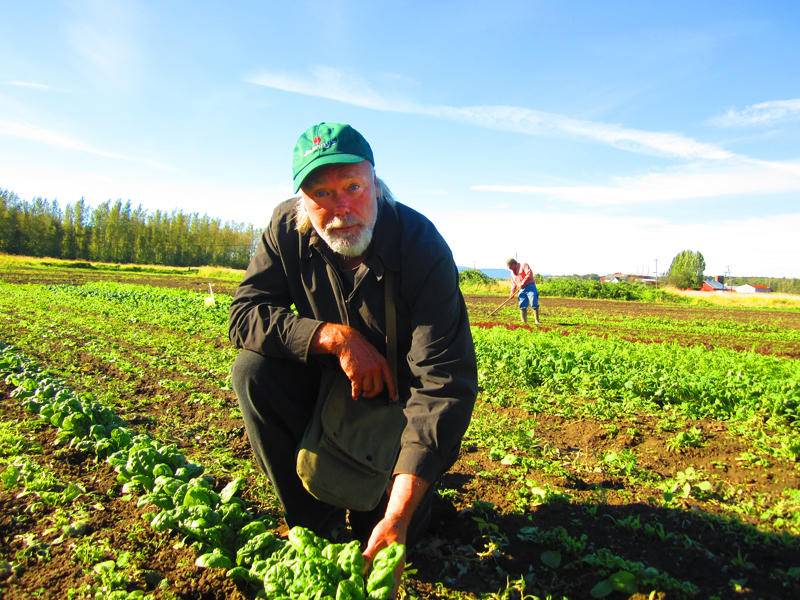 His small farm in the Lummi Flats is organic, uses no fertilizer at all and is farmed by just Mike and his single assistant. Nestled at the foot of Sumas Mountain in the far Northwest corner of Washington State, Cloud Mountain Farm is situated on 20 acres of orchards, vineyards, nursery fields, greenhouses and trial gardens. They propagate and grow fruit trees, nut trees, berry plants and ornamental plants. You’ll also find they sell a large variety of dwarf conifers and Japanese maples, hard-to-find orchard and garden supplies, quality tools, and garden books. They’ve been growing apples commercially since their beginnings in 1978. They supply a number of restaurants in town and we are lucky enough to be one of them! The menu here at Boundary Bay Brewery regularly features produce grown locally for us at Cloud Mountain Farm and we even serve up their hot apple cider on chilly Winter days. Education has always been hugely important to the staff at Cloud Mountain Farm. They have extensive trial gardens to test out crop development and which varieties work best in our climate. For consumers, their goal is to make sure that when your leave their nursery, you have the right plants, tools and information to be successful in all your gardening endeavors. Their focus on education will certainly grow now that they’ve become a non-profit! The farm will become an educational/training center for market farmers and consumers. They will continue to grow and sell to the public through the farm stand, the Bellingham Farmers Market, local restaurants and CSA shares. But now they will also expand their educational opportunities to include training programs for people wanting to learn the business of farming for market and providing consumer education for food production and ornamental gardening. We were lucky enough to get to tour Cloud Mountain Farm in September and meet the incredible staff who run the farm. We spent a lovely morning wandering through the fields with Cheryl, learning about farming for food and snacking on delicious tomatoes, grapes and apples. Check out this video to find out more about Cloud Mountain Farm, the people behind it and their incredible produce that we use in our menu here at the brewery. Gothberg Farms is situated on 40 acres of flat, fertile, farmland in Bow, WA. They use only a small portion for the goats and dairy, with the remainder leased out to “the real farmer next door”. Rhonda got her first goats in April of 2002, a mother and doe kid pair. This was supposed to just be the family milk, but it was infectious. The following September, she added two more bred does … and as of February 2009, there were 22 bred does awaiting milk production for Spring. The scenery surrounding the land is fabulous. They look directly at Mt. Baker and Chuckanut Mountain and can see the San Juan Islands. On clear days the Olympic Mountains and the Canadian Coastal range may also be seen. In fact, the cheese room windows were intentionally placed so the ladies could see Mt. Baker while they work. They say the sunrises and sunsets are really nice there and that they even have “resident” hawks, blue heron, and seasonal eagles, swans, geese, and ducks. All of Gothberg Farm’s cheese is totally handcrafted. All moulds are filled by hand, turned by hand, and salted by hand. All wrapping and packaging is by hand, some with hand lettering on the labels. Yes, this is labor intensive but affords quality checks at every turn. The low-tech approach is always favored whenever possible. Rhonda believes that to make a great product, it has to be done right from beginning to end. Which is why the feeding program for the goats at Gothberg Farms has been very well thought out. There is a high emphasis on prevention and health. Rhonda feeds her goats a recipe which is custom mixed by Conway Feed, the local feed mill. They are also given alfalfa hay from Eastern Washington as well as grass hay from Skagit Valley and they have full pasture access 24/7/365. Hear more from Rhonda about her farm and the cheeses she produces for us here at Boundary Bay Brewery and for her local community. Be sure to check out this interactive map too that shows you where YOU can get Gothberg Farms (other than here at our brewery!). 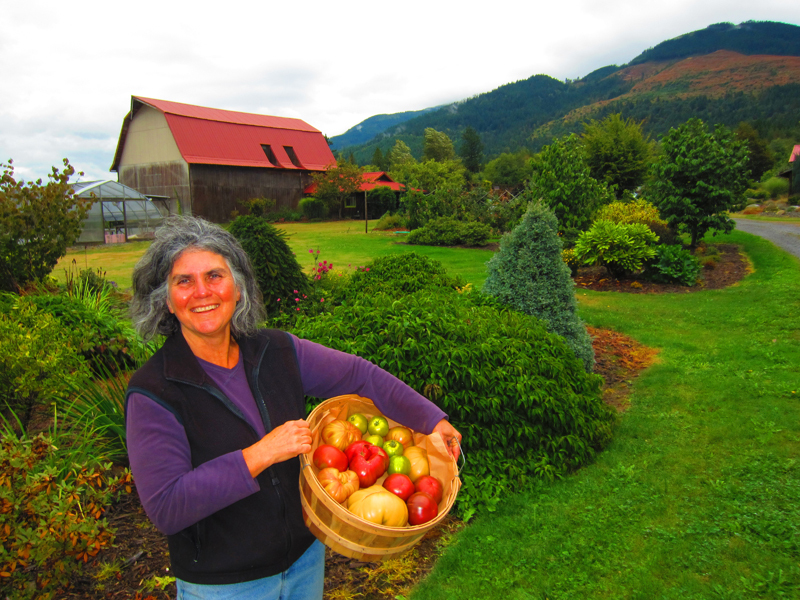 This September is Eat Local Month for Whatcom County. To celebrate, we using the month to cast the spotlight on a few of the local farmers we source their menu ingredients from. Earlier this year, we began posting video blogs about our Local Connections. The videos were each short interviews with local restaurants, delis and stores that serve Boundary Bay beer on tap or in bottles. In each interview, we asked business owners to share why it was important to them to do business locally. This month, we’re expanding their Local Connections videos to showcase where they get their chevre, apples, potatoes and greens. We’ll film the video blogs out at the farms and give you a chance to meet the farmers face to face. We think the videos will play an important role in connecting consumers and local food producers. 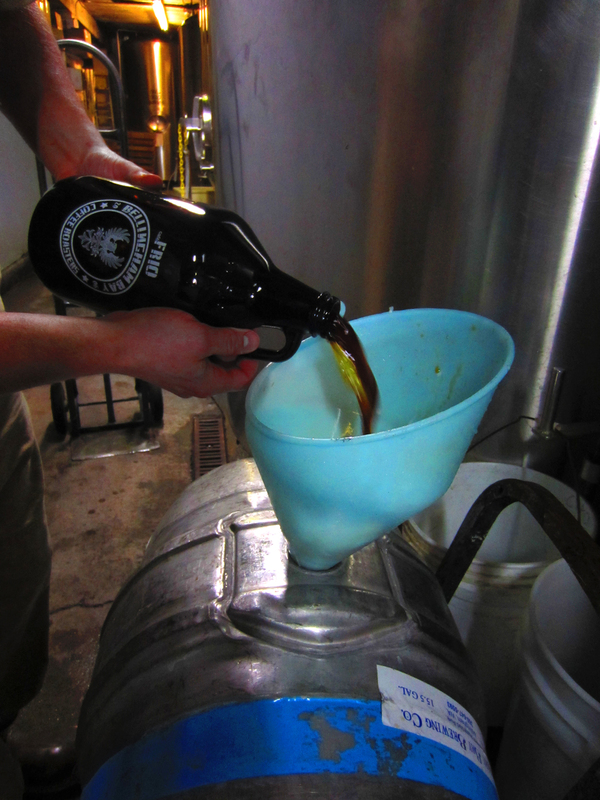 Boundary Bay Brewery works with many local suppliers and we it a priority to source at least 25% of their food budget from local producers. We’ve even clearly marked dishes on our menu that are made with local ingredients to help inform customers who think it’s important to support local agriculture too. During September, we’ll be filming interviews with K & M Red River Farm, Cloud Mountain Farm and Gothberg Farms and will post the videos here on our blog and on our Facebook page. 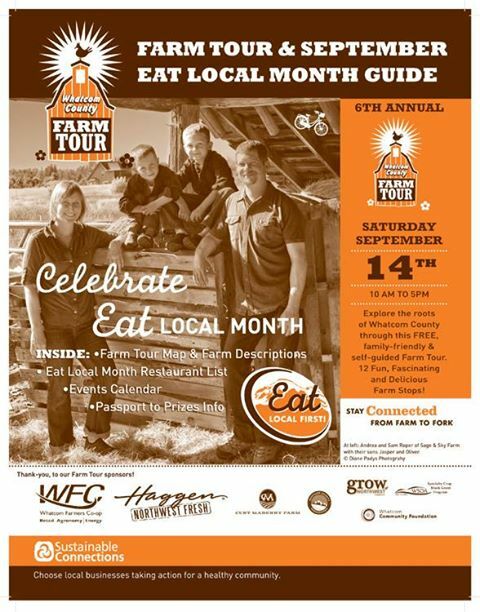 Don’t forget to also take advantage of all the Eat Local events happening throughout the month!